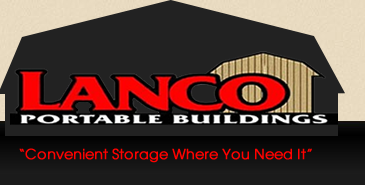 Portable garages expand your storage space. The Garage is designed to be used for storage of heavier items. With its reinforced floor it is up to the challenge of storing a full size vehicle with no problems. It also makes an excellent repair or restoration shop. The Garage comes with 7' 9" sidewalls and 16" OC wall studs. It comes priced with a 9' x 7' high quality metal roll-up door in the gable end as well as a 36" metal door in the side. The most impressive part of The Garage is its floor construction. The floor starts with four treated 4 X 6s as ground contact runners. The floor joists are treated 2 X 6s on 12" centers. Finally, the floor is spanned with 3/4 inch treated plywood.